Traders Dynamic Index MetaTrader indicator — a comprehensive but helpful indicator that uses RSI and moving averages along with some on-the-fly volatility calculations to offer the trader a full picture of the current Forex market situation. 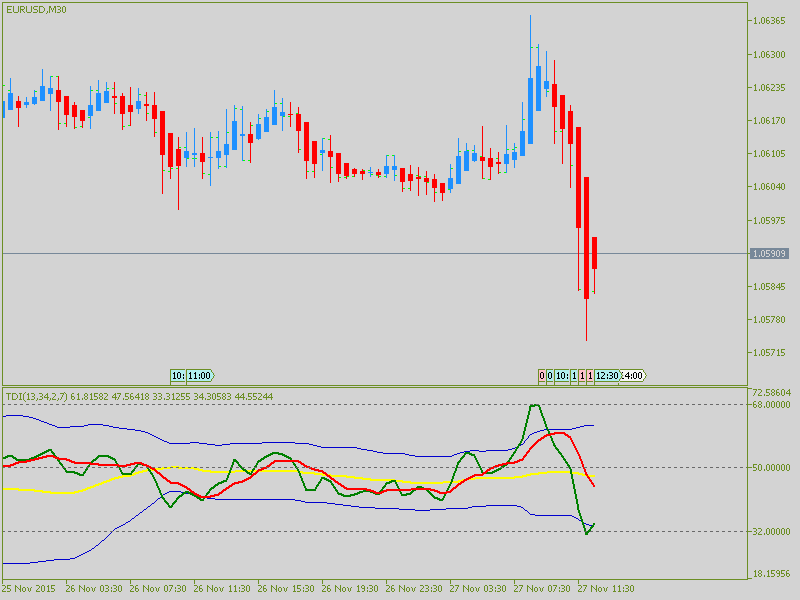 This indicator have sound alerts available. A pdf files from Dean Malone attached here for further reading. RSI_Period (default = 13) — period in bars for calculation of RSI. 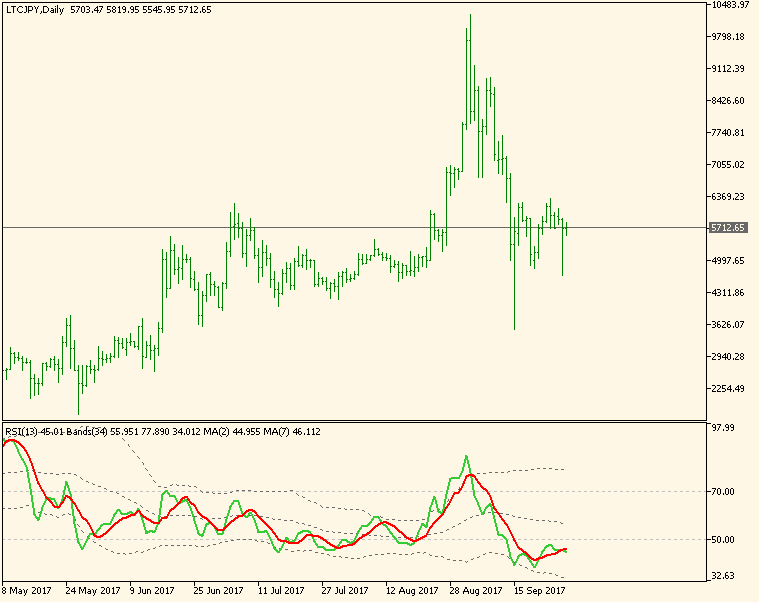 RSI_Price (default = MODE_CLOSE) — price type to use in RSI calculation. Volatility_Band (default = 34) — parameter for volatility band calculation. Can be between 20 and 40. The lower this value is the curvier becomes the band. 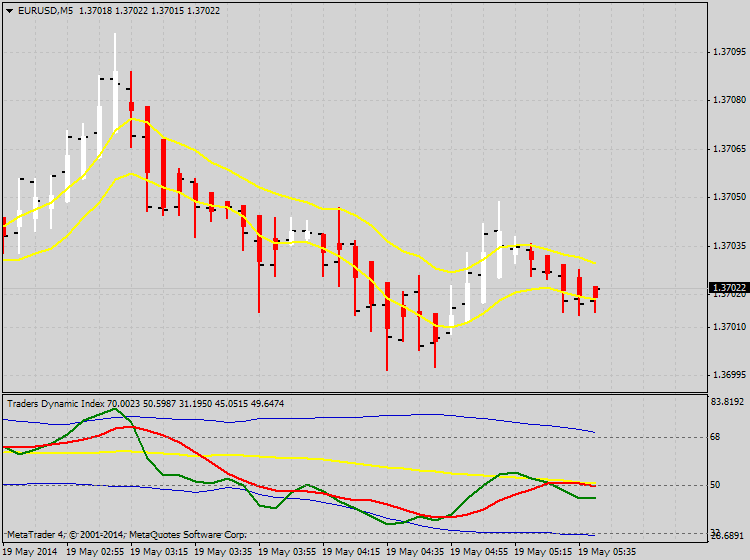 RSI_Price_Line (default = 2) — period of the first moving average (fast). 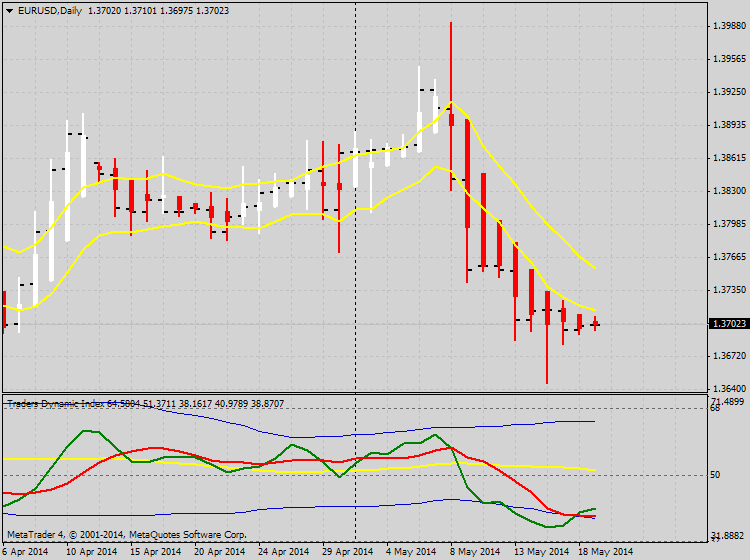 RSI_Price_Type (default = MODE_SMA) — type of the first moving average. Trade_Signal_Line (default = 7) — period of the second moving average (slow). 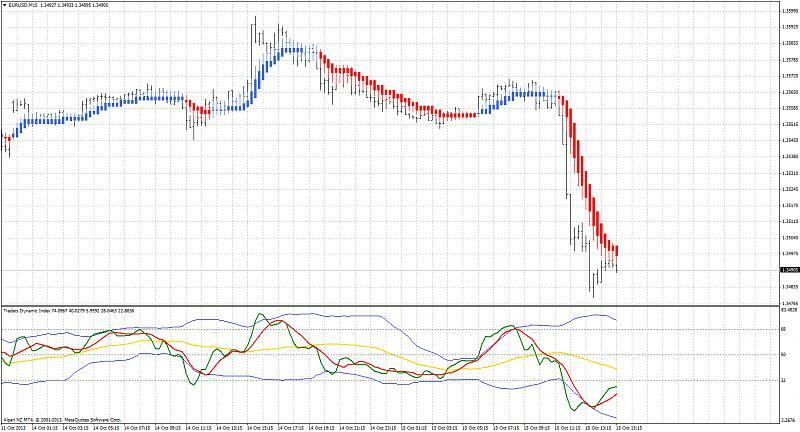 Trade_Signal_Type (default = MODE_SMA) — type of the second moving average. UseAlerts (default = false) — if true then sound alert will be played each time red and yellow lines cross. Last edited by matfx; 10-15-2013 at 12:44 PM. newdigital, mr.green and zorndyke like this. The chart setup according to synergy trading method by Dean Malone. Template attached. newdigital and mr.green like this. 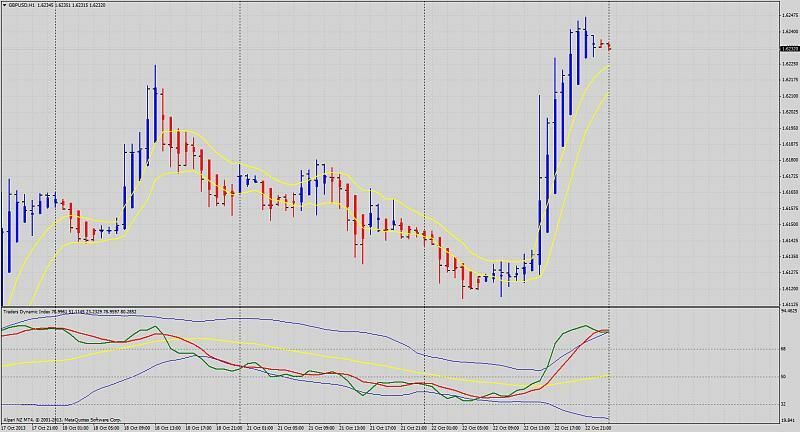 Now Traders Dynamic Index (TDI) indicator available for Metatrader 5 platform, coded by earnforex. 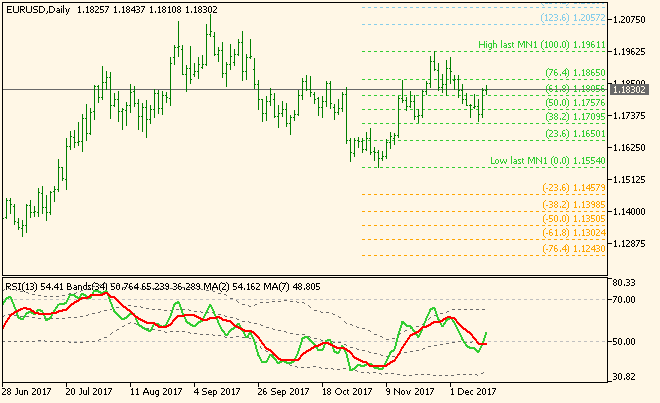 The discussion is on this small mql5 thread.